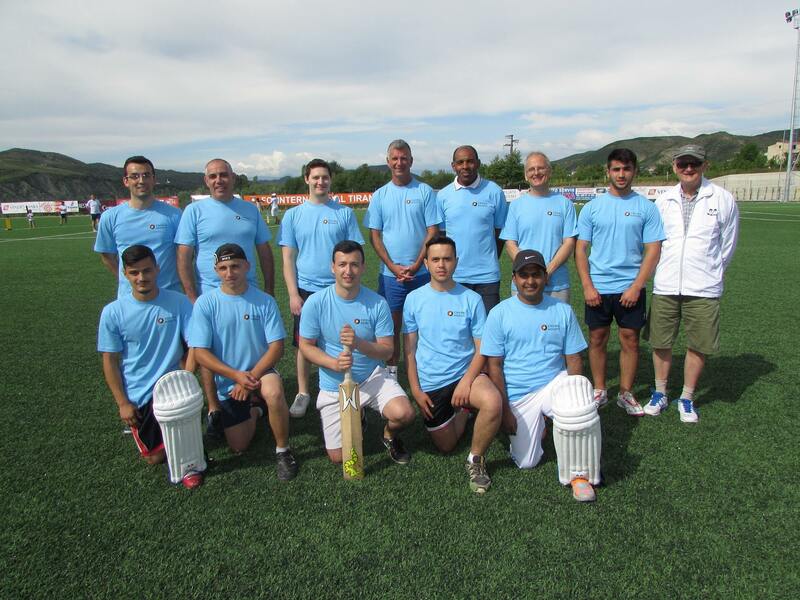 On Sunday 24th May, Albania staged its first ever cricket match. 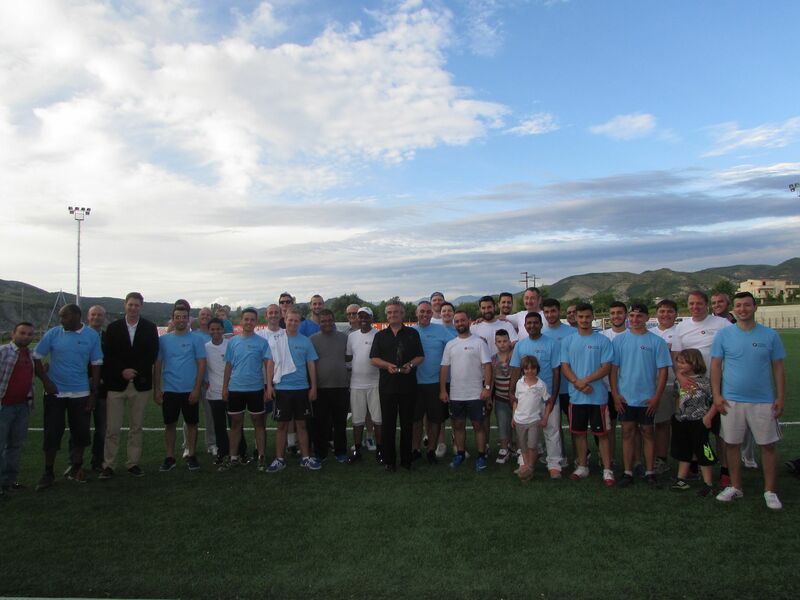 The match took place at the FC International Tirana Sports Club between the ‘Albanian Eagles’ and the ‘International Lions’. 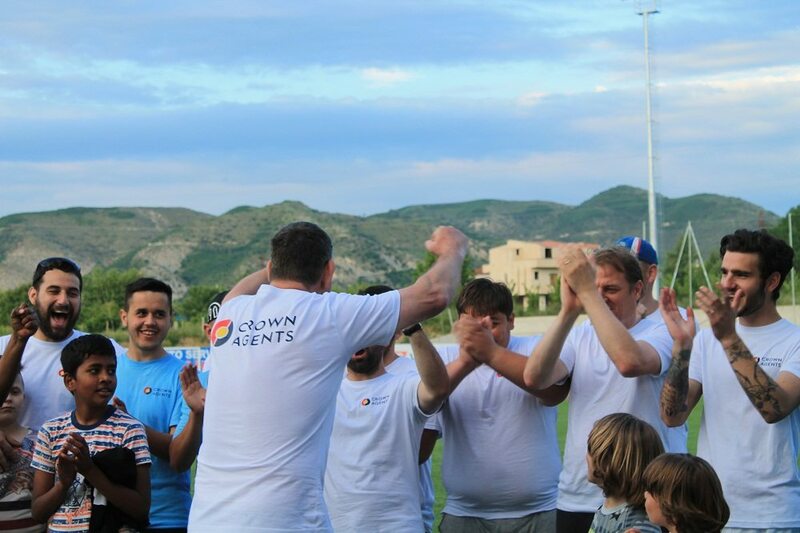 The honorary captain of the Albanian Eagles was Prince Leka II and the captain of the International Lions was the English writer and comedian, Tony Hawks. 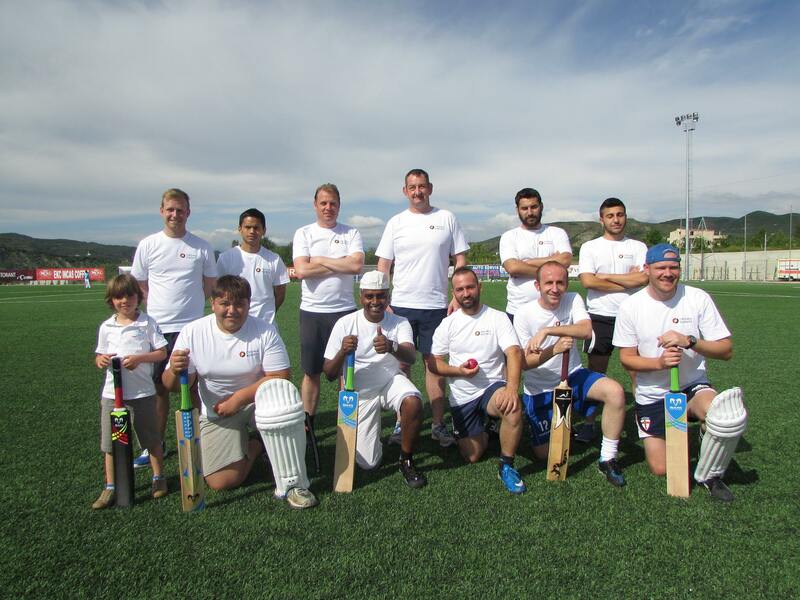 Cricket may have been a strange experience for many of the spectators but the principles of the sport are quite simple. It has some similarity with baseball with each team trying to hit a ball as far and as hard as possible to score runs (points) and the other team trying to stop or catch the ball. The match was an exciting one with the International Lions scoring 79 runs (points). 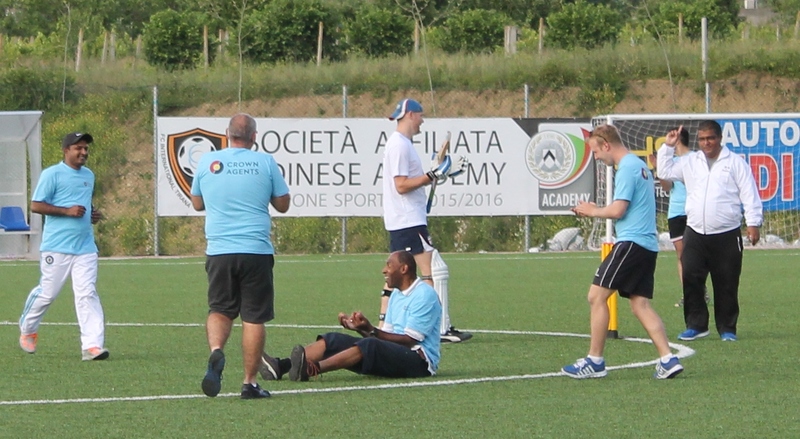 After a tea interval, the Albanian Lions scored very quickly but many of their batsmen were soon out and it was only with their final player that they scored the runs needed to win the match. 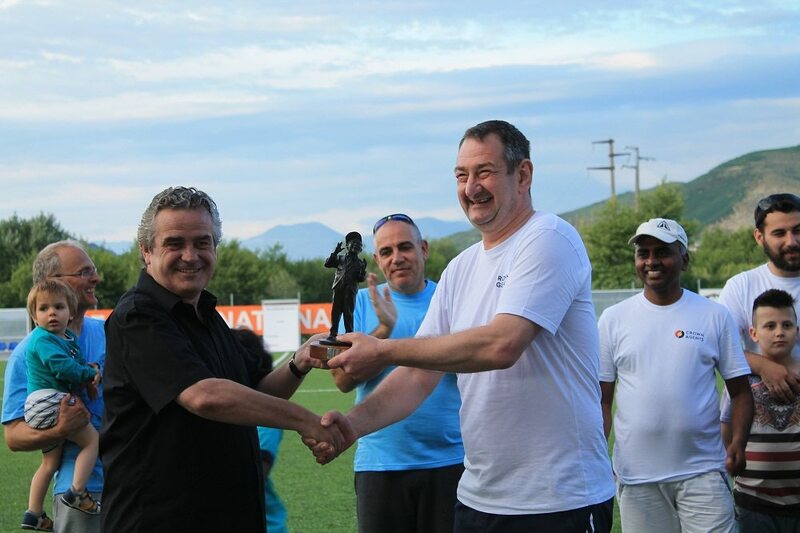 The captain of the Albanian Eagles, Phil Griffiths, was presented with the Sir Norman Wisdom Trophy after the match by Crown Agents Director, David Smith.